​Exactly what's in this bag???? We are a society obsessed with electronic gadgets. While some may complain about this, it allows us a fantastic ability to communicate with others, have access to endless information, and share things instantly. I will agree that there should be a balance, and we shouldn't allow our electronics to distract us from the amazing things around us. 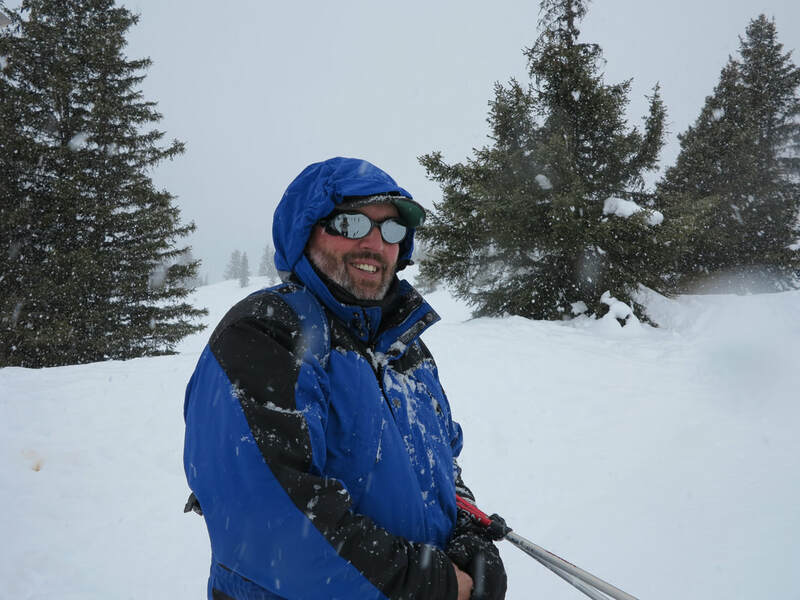 I also admit that they allow me to do blog posts from around the world, sharing our adventures with hundreds, sometimes thousands of people. While handy, we must remember that we have to carry them. Size and weight are factors we have to take into account. Smaller and lighter are always better, and we must remember that they also need to accomplish the tasks we need them to. I make an effort to go small and light, but never cheap. Cheap breaks down and leaves you in the lurch. Buy good stuff......lesson number one. ​​This is an electronics travel case. I purchased it from Amazon, and it was less than ten dollars. It has multiple compartments for storage of different items. It protects them as well as allows keeping them all together in one place. Please ignore the cat hair. 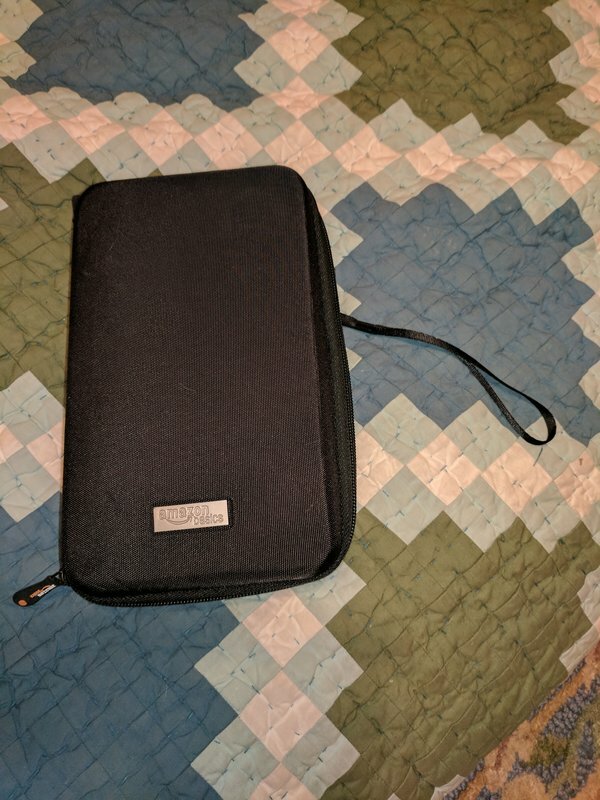 ​Items in the case include a camera battery charger, USB charger, thumb drive, a hub, cables, earbuds and a usb storage battery. 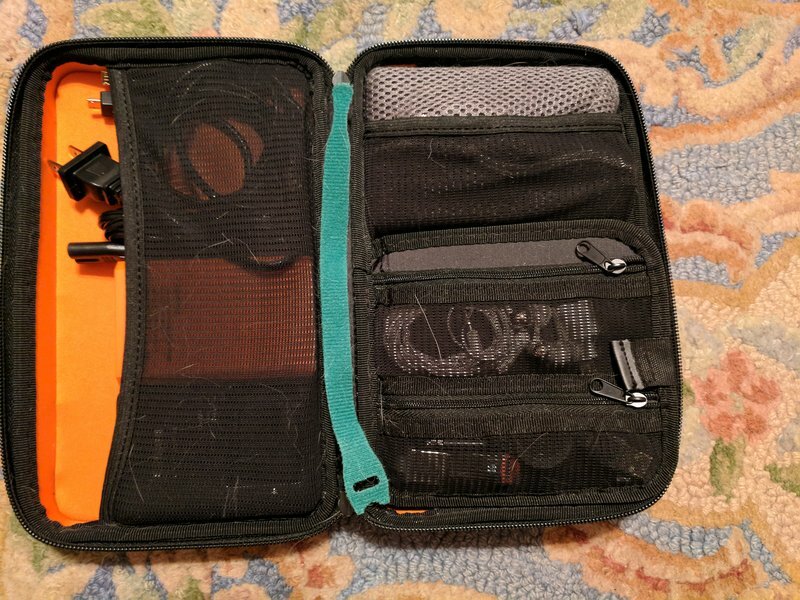 ​All of these items snuggle neatly into the zipper case shown above. We also carry these items on in our small pack. They run everything we bring so they're important enough not to put in checked baggage. I may have an item or two that are more than needed, but I seem to use everything shown on every trip. Outside of prescriptions in carry on, these are the most important. It weighs a couple of pounds. Earbuds are important. You'll use these for quite a while, and long before you get to your destination. When you get on an international flight, most have a small TV screen in the seat back. You can select movies, TV shows, games, or music on the in flight entertainment console. 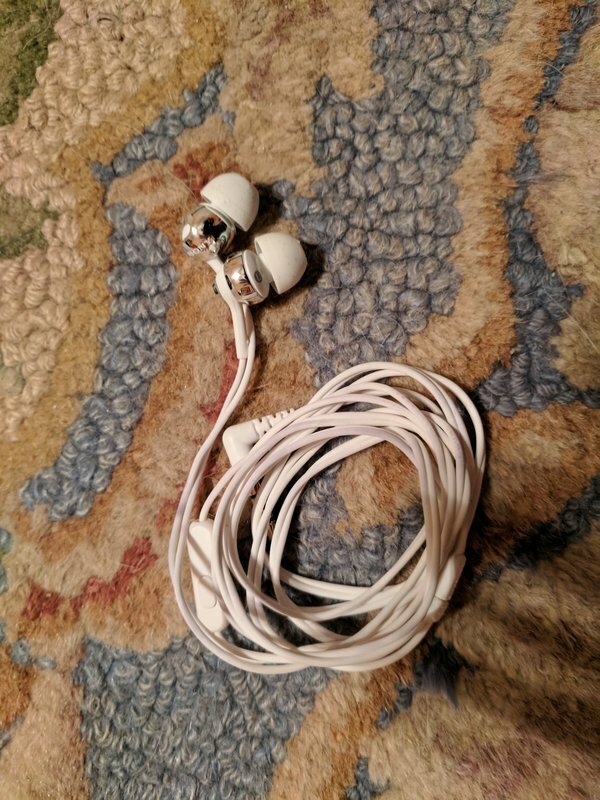 The earbuds are how you hear it. You can put on music to block out the noise while you sleep, or listen to dialogue while you're being entertained. You'll find you use the earbuds almost constantly from the time you take off until your destination. Buy good ones and make sure they're comfortable. 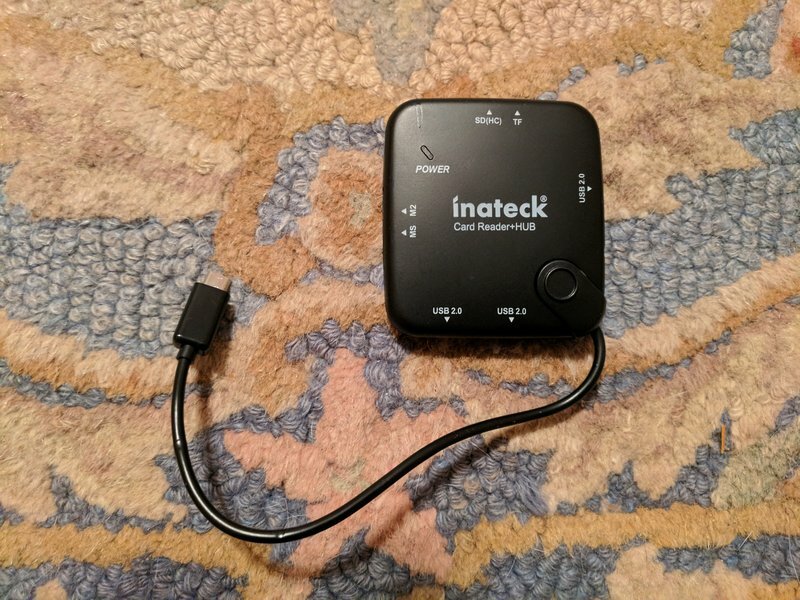 For those times that your phone is running low on power, your tablet is bottoming out, pretty much anything you need charged, this is incredibly handy. While larger than many batteries, this has two USB ports, one of which has a 2.4 amp output. Most tablets need 2 plus amps to charge, and a lot of chargers and storage batteries charge at less than this rate. 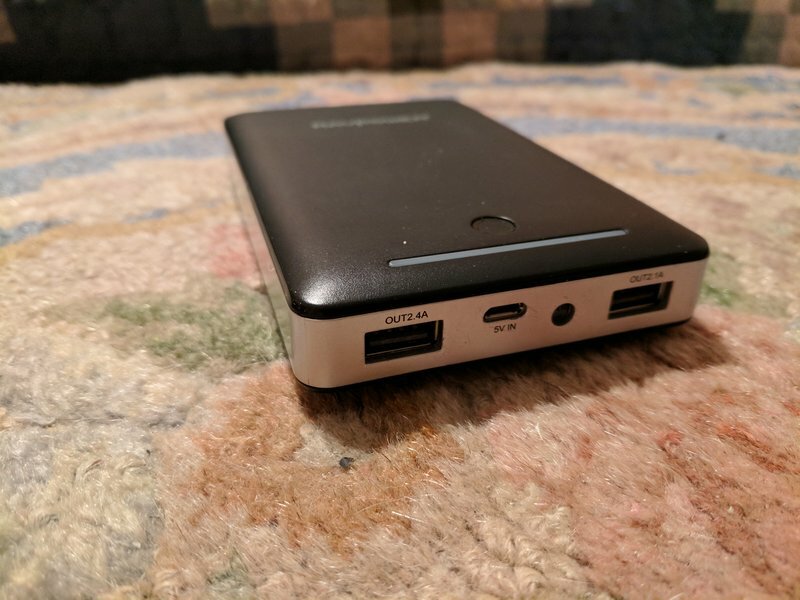 This is also a 15000 mah (milliamp hours) battery, allowing several device charges before the battery itself will need to be recharged. This is helpful on a plane, train, or bus when you need to charge but don't have an outlet. I charge it every night. 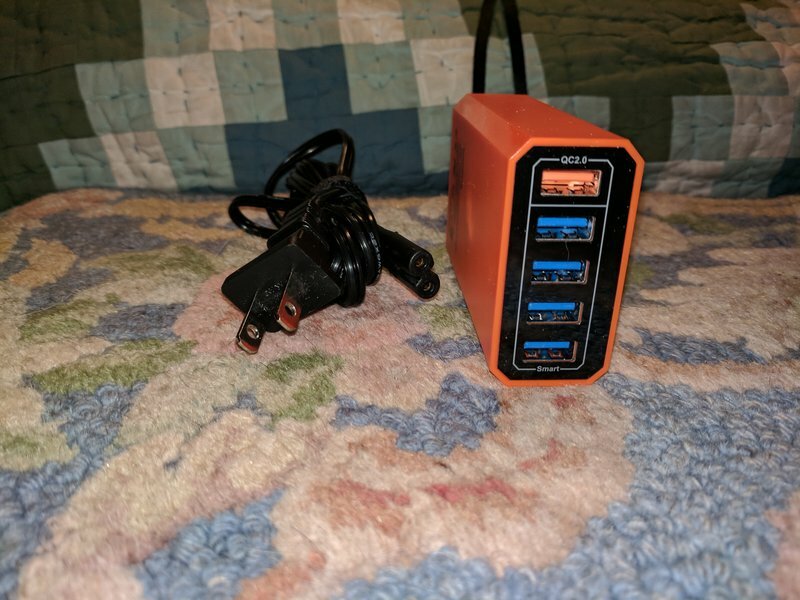 This is a multi-port USB charger. I got it at Amazon and it will work on electrical systems in the states as well as abroad. It comes with a cord that fits U.S. outlets. Due to multi-voltage ability, all that it requires to work abroad is a US to UK/Europe/whatever country adapter. ​It has a high output port for charging high rate needs, like a tablet. The others can charge multiple phones, bluetooth keyboards, and that nifty battery I talked about above. 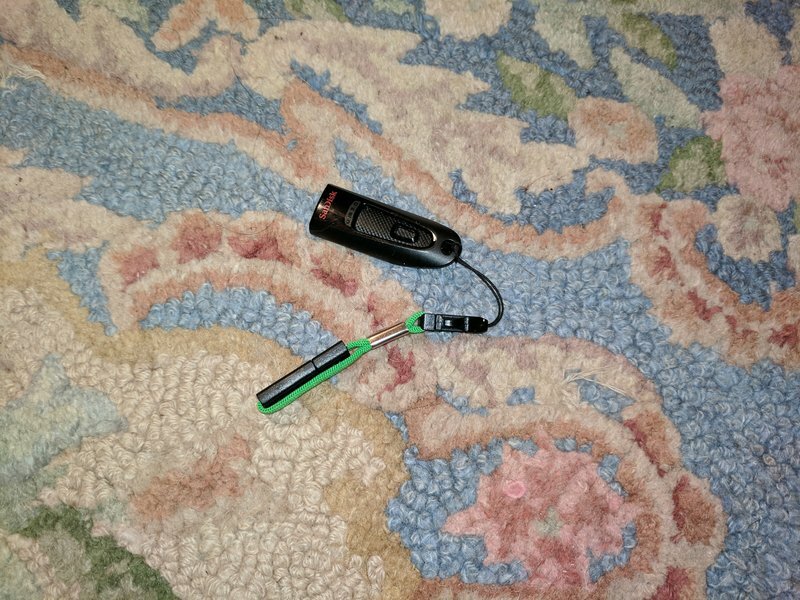 One charger, all your stuff.......light, small, and easy. In the old days, you had to carry an expensive and heavy transformer. Now, almost all electronics will call out a voltage range (100-240 volts) that covers all the world electrical systems. Not only can we use our toys anywhere, the manufacturer only has to make one for everyone. All they have to change is the cord to match the country of sale. These are all our cables! 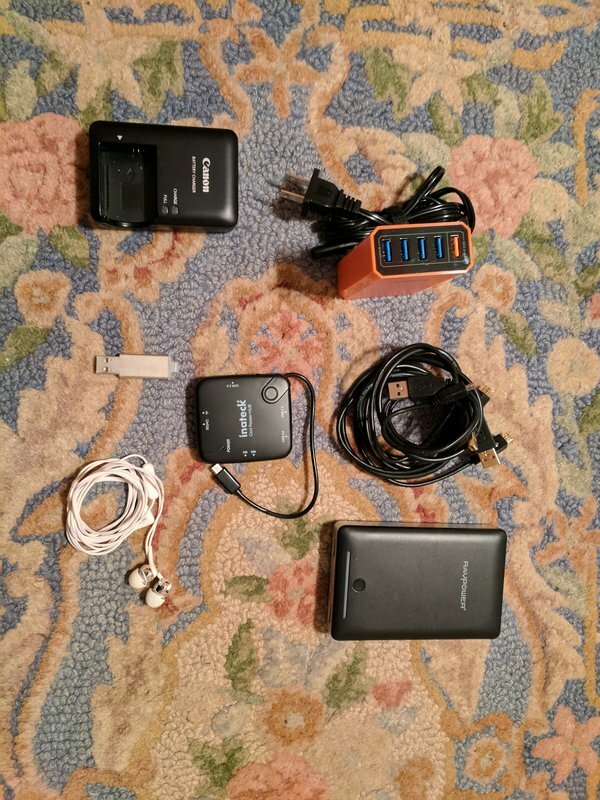 Make sure you have enough to charge all your stuff. If you have one die on you, they have these all over the world. Pick one up in a discount store to replace your dead one and you're back to normal. 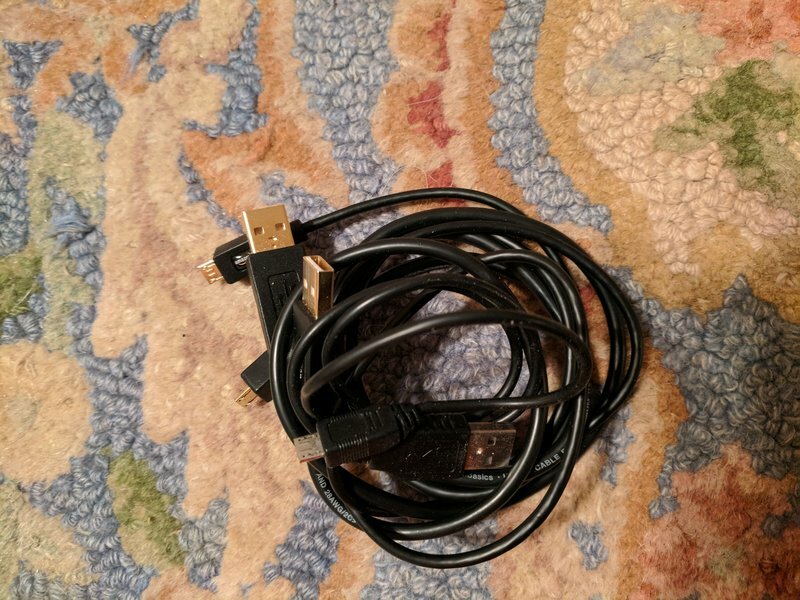 I use Amazon Basics cables. They're better than normal quality and quite inexpensive. While I preach light and as little excess as possible, an extra cable doesn't cost much and doesn't weigh much. It's not necessarily a bad idea. This is my hub. I plug it into my tablet and I can read any USB drive or SD card. My tablet has a charging and input port, but nowhere to insert a camera card to read it. It's small, light, and goes in the electronics case. My camera is a Canon G15 viewfinder style camera. It will take up to a 12MB image and with a monster SD card, will hold quite a few images. I figure if I am traveling half way around the world, seeing amazing things that I may never see again, I want a decent piece of gear. I can zoom with it, there are many adjustments, it is a very flexible and good quality camera. 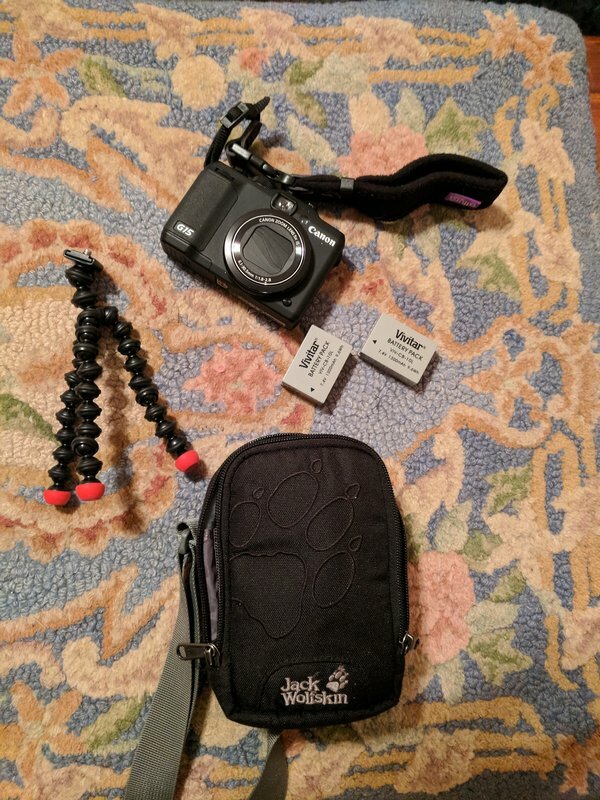 Couple this with a Jack Wolfskin case that I bought in Germany, a couple of extra batteries, memory cards, and a very small gorilla pod (a tripod that can be wrapped around things). While the camera is in a case of its own, the battery charger goes in the electronics case. When I travel, I store my photos twice. In the past, I have downloaded them to the computer I was using. This year I have started downloading them to the SD card on my tablet. I also keep a backup on a flash drive. I use a 64 GB Sandisk, which has ample storage for all my photos. This flash drive also has what they call a "vault", which is actually an encrypted folder that can only be opened with a password. I store a copy of all our travel documents including credit cards and passports on this drive and I keep it in my moneybelt. I can open this on any computer and get to information I need. I am very careful with this drive. 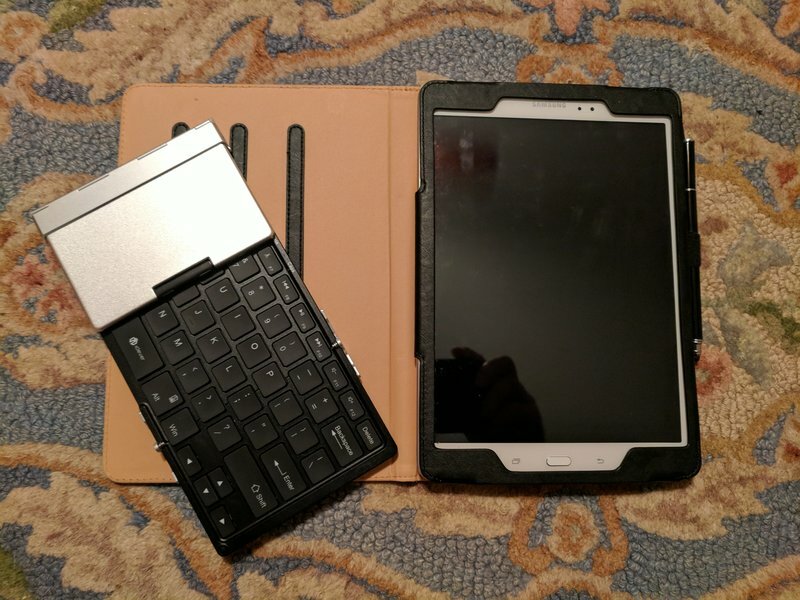 This is my tablet and bluetooth keyboard. The tablet has a long battery life and I can charge it from both my multi-port charger and my storage battery. With the onboard SD card it will hold loads of info, photos, and music. It is light, has a decent display, and is about half the size of my old netbook. I've done a few short trips and some blog writing with it. While not as good as a full blown laptop, I think it will work well while cutting down on weight and size. Remember....smaller is better. I have a 3 way power splitter so I can plug into foreign power adapters and plug more than one thing in at once. I don't keep it in this case, but in my main bag. If it gets lost, I can live without it....but it's handy. I have a few other things that I carry, as will you. You will figure out the things you need and put these thing in your bag. Everyone is different and adapts. And remember, unless it is really odd, you can probably pick one up where you are going. Thanks for reading along! My profile page has links to all my past blogs and will include any new trips. You can subscribe, or send me a message and I will include you on my mailing list. Do your preparation, do your planning, and let's travel!